The Director-General of UNESCO firmly condemns the destruction of the ancient temple of Baalshamin, an iconic part of the Syrian site of Palmyra, a UNESCO World Heritage site. “The systematic destruction of cultural symbols embodying Syrian cultural diversity reveals the true intent of such attacks, which is to deprive the Syrian people of its knowledge, its identity and history. 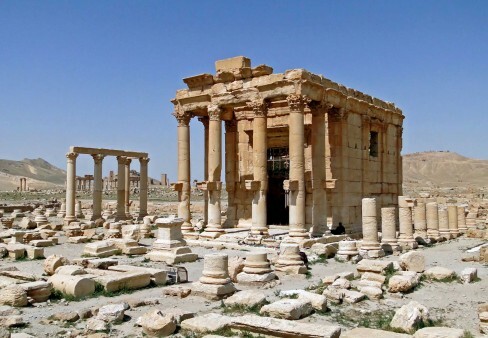 One week after the killing of Professor Khaled al-Assaad, the archaeologist who had looked after Palmyra’s ruins for four decades, this destruction is a new war crime and an immense loss for the Syrian people and for humanity,” said the Director-General. Baalshamin temple was built nearly 2,000 years ago, and bears witness to the depth of the pre-Islamic history of the country. According to several reports, the building was blown up on Sunday 23 August. Its cella, or inner area, was severely damaged, and followed by the collapse of the surrounding columns. The structure of the Baalshamin temple dates to the Roman era. It was erected in the first century AD and further enlarged by Roman emperor Hadrian. The temple is one of the most important and best preserved buildings in Palmyra. 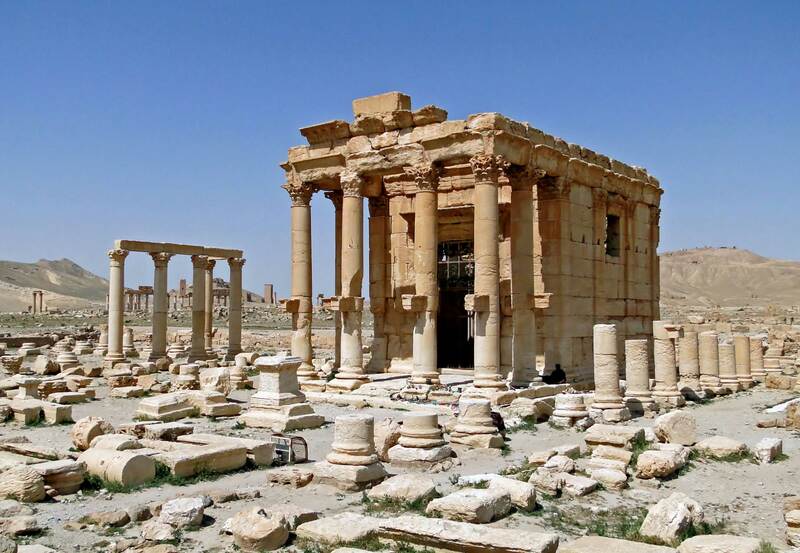 It is part of the larger site of Palmyra, one of the most important cultural centres of the ancient world, famed for its Greco-Roman monumental ruins, repeatedly targeted by Daesh since May 2015. “The art and architecture of Palmyra, standing at the crossroads of several civilizations, is a symbol of the complexity and wealth of the Syrian identity and history. Extremists seek to destroy this diversity and richness, and I call on the international community to stand united against this persistent cultural cleansing. Daesh is killing people and destroying sites, but cannot silence history and will ultimately fail to erase this great culture from the memory of the world. Despite the obstacles and fanaticism, human creativity will prevail, buildings and sites will be rehabilitated, and some will be rebuilt. “Such acts are war crimes and their perpetrators must be accountable for their actions. UNESCO stands by all Syrian people in their efforts to safeguard their heritage, a heritage for all humanity,” said the Director-General.